Apple has sent out the fifth beta for the iOS 11.1 and it brings a sizeable increase to emojis. There are a significant number of new emojis, almost 56 of them in number. In addition to that older emojis have either been modified or updated. 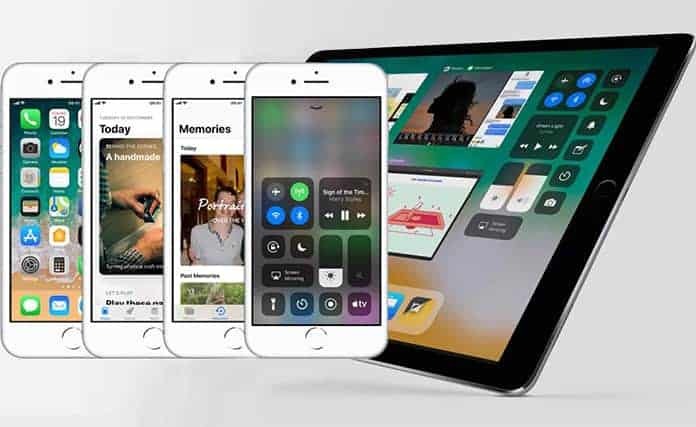 The 3D Touch App Switcher makes a return in the latest beta, so users can launch the app switcher simply by pressing down for a prolonged period of time on the left edge of the screen. However, don’t get too excited yet! This beta isn’t an official release and is not available to the public as of now. To be more specific it is only available to developers and testers. Despite this, there is a workaround that will allow one to install the beta even without being a developer and even without using a computer or iTunes. To do so all you need is your iOS device, like an iPhone, iPad or iPod Touch and a built in Safari Browser. Changes to Camera and Settings icon. Icon changes in the Weather app. 3D Touch Control Center icon changes. Play/pause button changes in the Control Center. The Now Playing widget shows album, output, and artist. Red Screen Recording status bar instead of blue. Spotlight Search stays opened when scrolling in widgets. New multitasking splash screen for iPads. Brand new FaceTime ring when starting a call. Note: Remember, don’t click the link exactly. Just copy / paste to the address bar of the Safari Browser of the iOS device you are using. Step 4: Enter the passcode if you have one implemented. Step 5: Tap Install and then…tap it again. 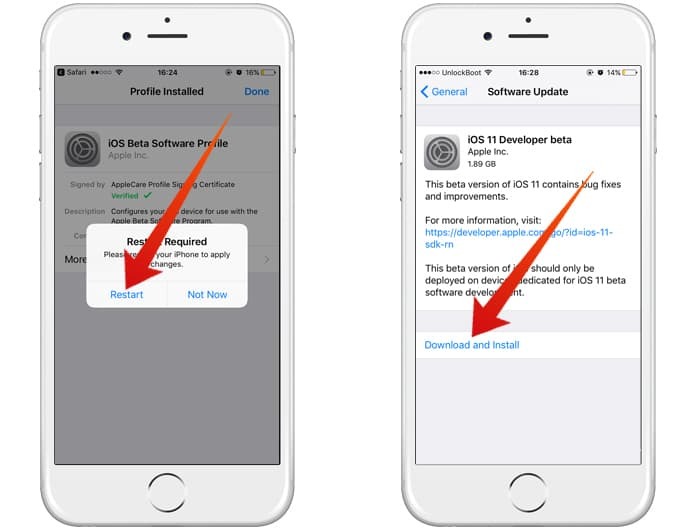 Step 7: Once the device restarts go to Settings -> General -> Profile & Device Management – iOS Beta Software Profile and Tap trust if it is not trusted. Step 8: In case the trusted option is already selected then go to Settings -> General -> Software Update. There you will see the iOS 11.1 beta 5 downloading. Step 9: After the download has completed, simply tap install and let the device do its thing. 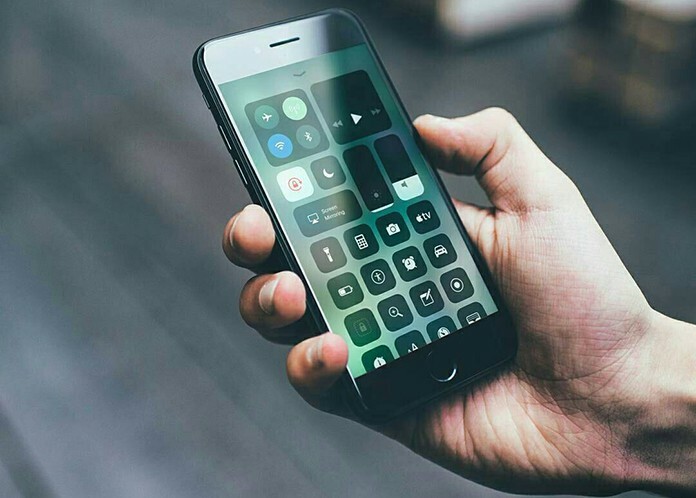 After it has completed, just switch to the new iOS 11.1 beta 5. That’s really all there is to installing and using a new beta; it’s really quite simple. 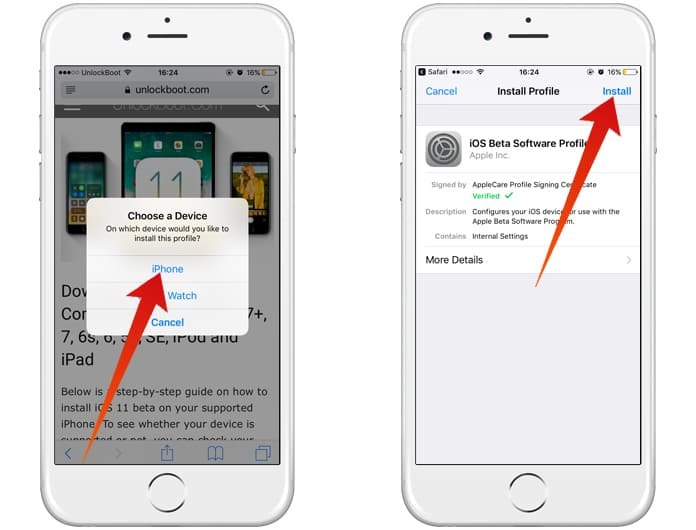 In case Apple releases a new beta and you are interested in using it all you have to do is follow these same steps. You will be able to get the beta update directly from the Software Update tap from the General Settings.